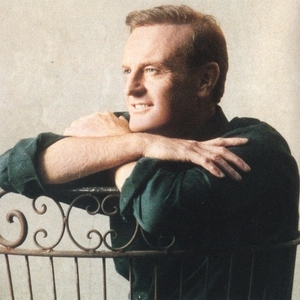 Peter's major television appearances in Australia include, a one hour special called "Up In One", the 1980 Australian Rules Grand Final, the opening of "The Sydney Entertainment Centre", "The Sydney Opera House" in front of Her Majesty Queen Elizabeth II and the Duke of Edinburgh, "The Melbourne Concert Hall" where he met Prince Charles and Lady Diana and in 1988 he again performed for them at "The Sydney Entertainment Centre", also he opened for Frank Sinatra at "The Ultimate Event", Sanctuary Cove. When Australia won "The America's Cup, Peter sang in Perth at the celebration concert. 1992 after he died, both of the leading football codes paid tribute to the legend at their respective Grand Finals with massive television audiences. Peter was the presenter for the giant Japanse consumer electronics company for eight years, then known as National Panasonic, in 1983 he featured in a multi million dollar electronics show called, "Shaping The Future", in the heart of Sydney. A replica model of his head and torso was used as a, show piece with Peter talking to consumers about the show in a static display. Peter was dedicated to National and sang many of his hit numbers at the staff xmas party, as well as at the company's headquarters.